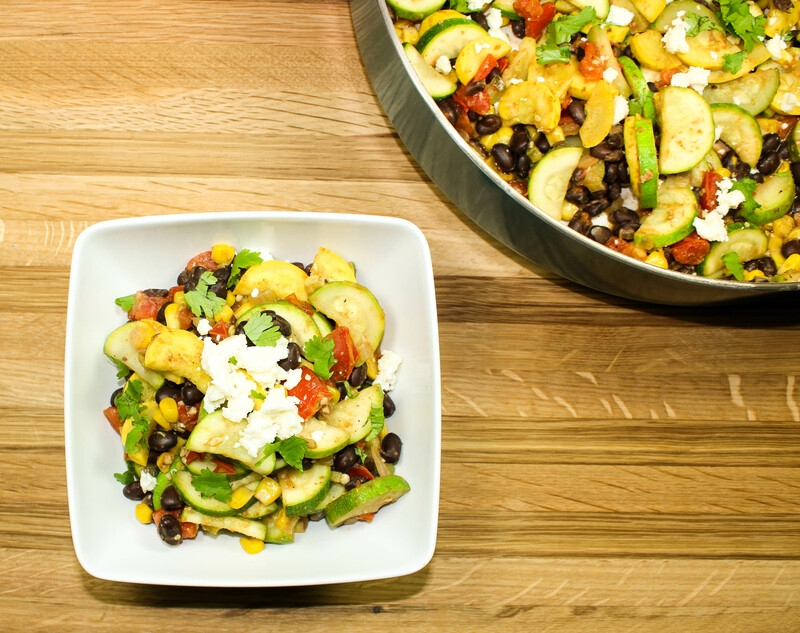 Mexican Zucchini Stir Fry is full of veggies & black beans with spices! Great as side dish or tacos. Easy to make! 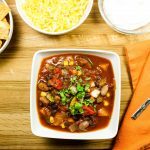 Weight Watchers friendly recipe- 1 SmartPoint! As you may know, I love Mexican food. But it’s hard to find Mexican side dishes that are on the healthy side. Sometimes I just want a side of veggies rather than rice!! My Mexican Zucchini Squash Stir Fry is a great side dish for any Mexican inspired meal. 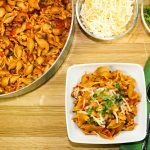 This is a Weight Watcher friendly recipe and it’s only 2 SmartPoints per serving! I love sautéed vegetables, especially zucchini and yellow squash. These veggies are versatile and you can season them to be perfect for any cuisine. You really could add any vegetable into this stir fry. I think mushrooms and even shredded carrots would be a great addition! That’s the beauty of stir frys, you can seriously add in any vegetable or protein and bam, it’s a meal! A ONE-POT MEAL, which is even better. In this zucchini stir fry, I add corn, black beans, fresh tomatoes, Mexican Spices, and peppers to give it a Mexican flare. This dish is zesty, fresh, AND you can totally make this into vegetarian tacos or even vegetarian enchiladas! In fact, I usually turn my left overs of this recipe into tacos for lunch throughout the week. Two meals in one!! 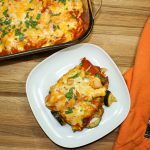 You could also serve this as a side dish for Cheesy Stuffed Peppers or Chicken Suiza Enchiladas. Once you make Mexican Zucchini Stir Fry, you’ll be making it on a weekly basis! Remove stem ends of the squash and zucchini. Cut squash and zucchini in half, then cut the halves into thin slices. Set aside. Remove seeds from tomatoes and dice then set aside. Dice poblano pepper, onion, and garlic. Heat a skill on medium heat, add avocado oil. Add poblano, onion, and garlic and sauté for about 5 minutes. Add zucchini, yellow squash, and corn into skillet. Season with salt, pepper, chipotle chili powder, garlic powder, and cumin. Cook for 5 minutes. Add drained black beans and lime juice. Cook for 1 minute. Add tomatoes and cilantro. Cook for 2 minutes.